I hope you are keeping safe in this awful weather. 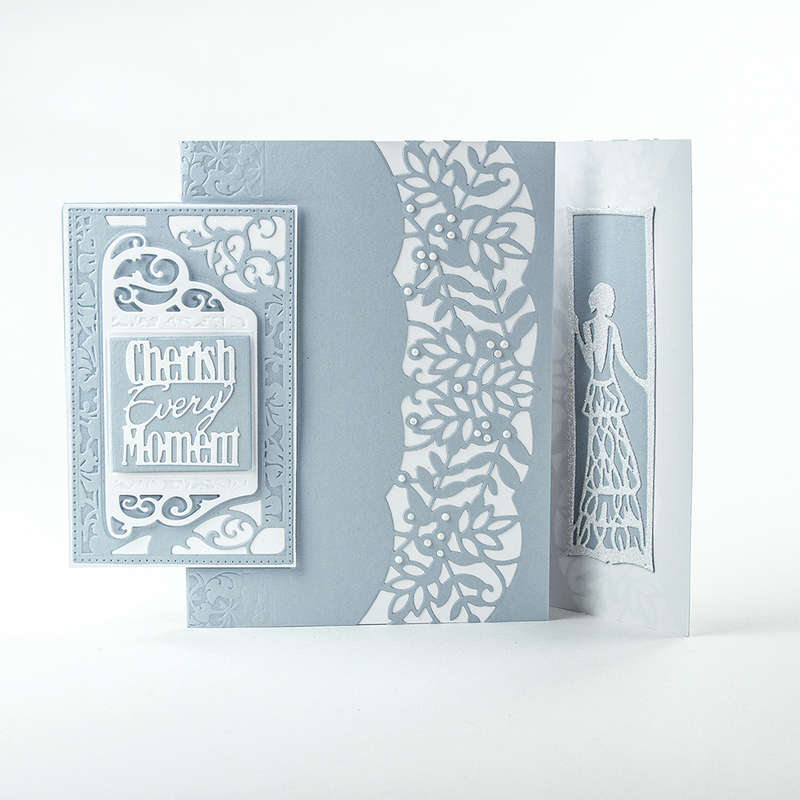 Today's card is another from the Flip Flop collection called 'Cherish the Moment'. 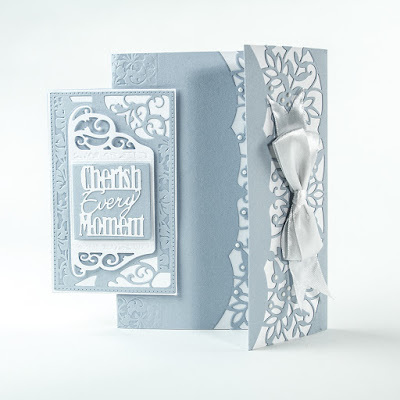 It's a beautiful sentiment and this die gives it a beautiful backdrop too. 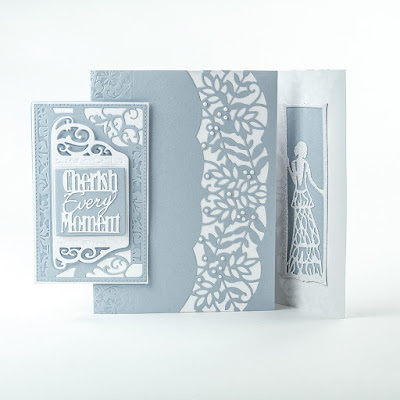 The flap closes over the card front and when open reveals the bride inside. I finished it with lots of pearl drops and a white satin bow.